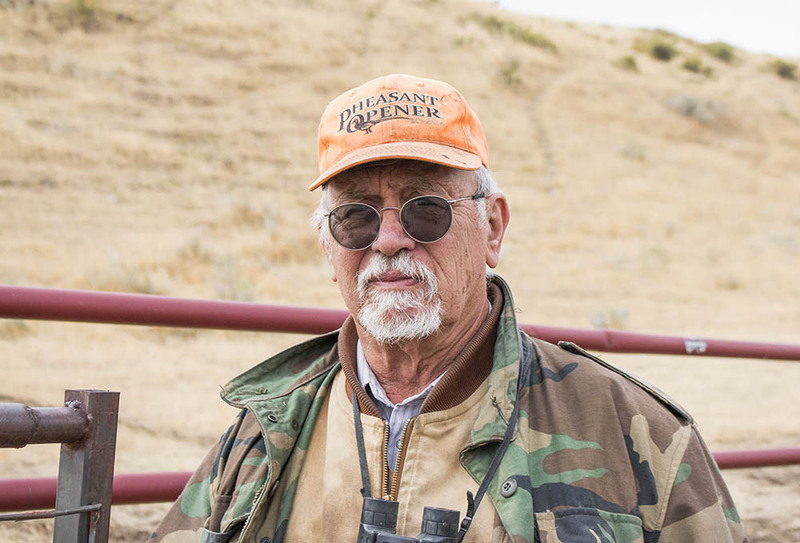 Gilles Stockton at his home in Grass, Range Montana. “In 1920 Grass Range was served by a railroad spur. There were two banks, three automobile and farm machinery dealers, hotels, department stores, a doctor, a pharmacy…and today Grass Range is a ghost town,” said Gilles Stockton. Gilles was born in France. His father was in the army, his mother was French, they met during the last year of World War II. 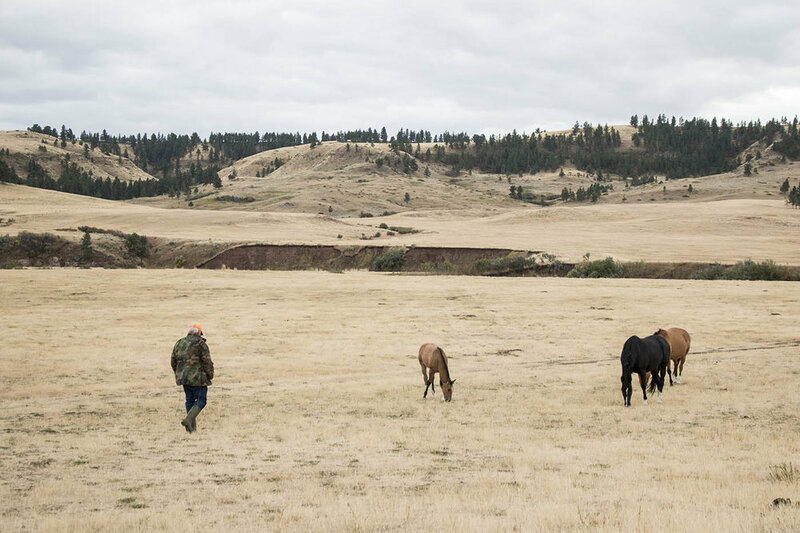 Gilles grew up in Grass Range, Montana and has been operating the family ranch since 1975. A 2016 census determined that the population of Grass Range is 108 people. Grass Range is part of Fergus County, Montana. Gilles joined Northern Plains Resource Council at the group's annual meeting in 1987. The main speaker, Benny Bunting, was a contract chicken farmer from North Carolina. He talked about the consolidation and vertical integration of the poultry industry. Gilles Stockton on a home pasture in Grass Range, Montana. Gilles adjusts his solar panels at his home. Gilles recalls a time when NAFTA’s failure was illuminated in 2003, when Canadian beef imports halted due to cases of bovine spongiform encephalopathy in Canada (also known as mad cow disease.) The U.S. cattle market jumped 25 percent overnight and ranchers received good prices for three or four years until Canadian beef imports began again. 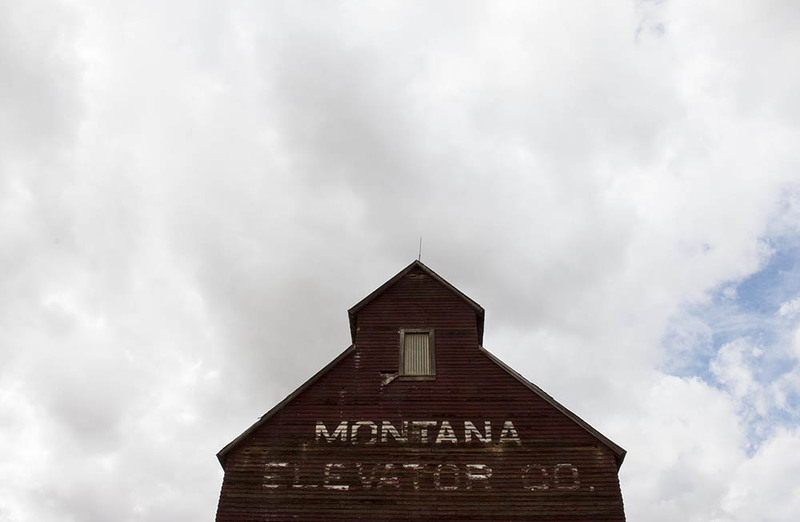 An abandoned grain elevator in downtown Grass Range, Montana. The repeal of Country of Origin Labeling (COOL) was another agricultural policy that put the interests of transnational corporations ahead of the American rancher and consumer. Gilles and Northern Plains fought hard for COOL. With COOL, the American consumer had a choice to support American beef. In 2015, after a successful case brought by Canada and Mexico, the World Trade Organization ruled that the U.S. requirements for COOL violated international trade laws. Shortly after that ruling, Congress voted to repeal COOL. Gilles is adamant that, in order to have a fair trade system, we need to prioritize communities over corporations. “We need to renegotiate from a position that says citizens have rights, workers have rights, communities have rights. Trade agreements should look and protect their concerns. And corporations should be subservient to those rights,” said Gilles. Gilles walks towards his horses out on pasture.